✎ Evan Carmichael’s Top 10 Rules for Success. Need motivation? Watch a Top 10 with Believe Nation! 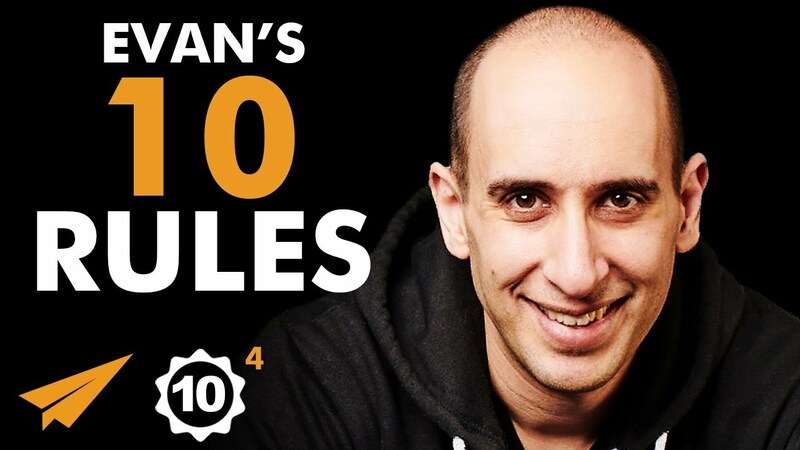 I’m Evan Carmichael, and here are my Top 10 Rules for Success Vol. 4! 1. how can you better serve others today? 2. where do you need to act even though you afraid? 3. whose opinion do you need to stop caring about?